Inspired by the muted hues of greens and blues that glisten in the morning sun, The Morning Dew Jewelry Design Kit is a complete jewelry set including a necklace, bracelet and earrings. 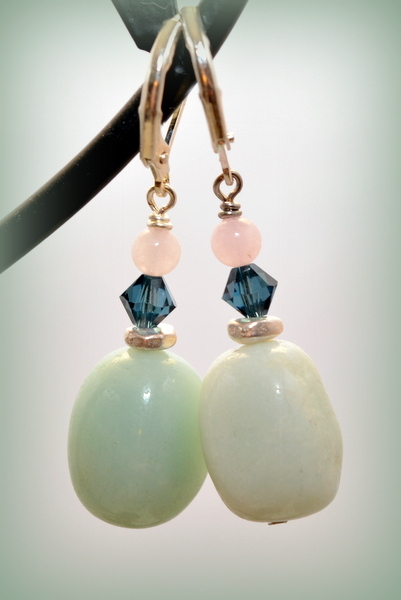 Each piece features magnificent Amazonite Matrix nuggets nestled between antique silver nugget Heishi spacers and radiant Montana Blue Swarovski Crystals. Rose Quartz beads add just the right amount of color contrast while the bold, silver plated textured rope chain is twisted to add beautiful depth. 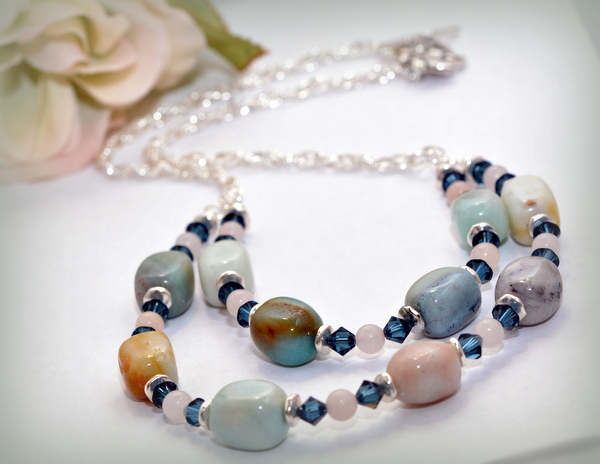 The finished necklace measures 24 inches and the finished bracelet measures 7 1/2 inches. 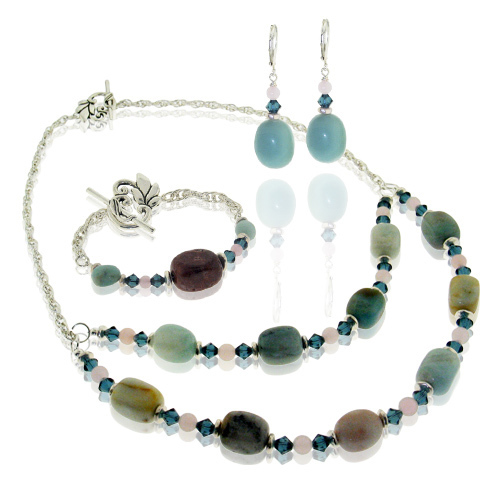 This jewelry set is not only simple to make, but fun too!